Enjoy a Business Breakthrough, and the results will follow. Do you need a new perspective on your business and get clarity on how to take it to the next level? Have you been telling yourself you really need to make some changes, but don’t know where to start? Are you feeling stressed, or getting in your own way and sabotaging your efforts? I can help you break through whatever’s holding you back from your success and happiness. Get Clarity. Implementation Time. Strategies in the Sun. Join me in Portugal for three days and we will look at your business together in a new light. A renewed confidence, and a happier, more relaxed you. This will be a rewarding time where you will end the cycle of whatever is holding you back from the success you deserve. Over three days working together in Galé, a beautiful place in the Algarve, Portugal, will give you the space and time you need to make those changes. No distractions. Peaceful, natural landscape. Relax and recharge. You’re feeling like you’re on that hamster wheel, and need a change to happen, but not sure what direction to go in? There’s one or a two limiting beliefs lurking around that’s holding you back? You want to feel in control and move forward again with clarity? 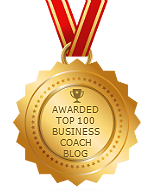 You want to feel that love for your business again, and get your mojo back? You want to start earning some serious money again and need a new strategy to help get you there? Contact me today to book your Business Breakthrough and get your natural sparkle back.